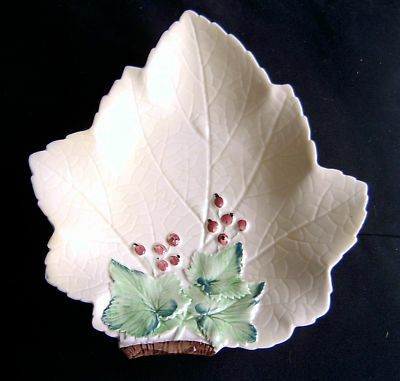 This is an offer of an extremely good quality CARLTON WARE medium Leaf Tray. The design is from the Red Currant series with a yellow ground decorated with embossed red curants and a brown tree branch handle produced in the 1930s (1935-1961). The base is stamped with the added mark of 1637. The dish is in excellent condition but has a small nibble on the underside which cannot be seen from either above or the side.